After recently spending several months away from Bali while traveling, upon my return I was forced to reassess the island of Bali and expat life here in a whole new light. I’ve always truly loved living in Bali, but being able to compare it so directly to so many new places exposed a few of the island’s shortcomings. Those shortcomings were easy to recognize while away, but when I returned, I remembered immediately why so many expats call Bali home. Some expats with 10+ years on Bali might disagree strongly with that statement, and will start talking about the good ol’ days again. I understand that fully - Bali isn’t the same place it used to be a decade ago. that’s a good thing. For the average person, Bali is a much easier and more desirable place to live today than it was a decade ago. The island of Bali at this point is much more ready to accommodate for a new family who wants to try life abroad. 10 years ago, only the most adventurous families would seriously consider it as their new home with kids in tow. Western amenities are available in most supermarkets. The internet is fast enough and stable enough to keep you in touch with friends and family back home, or all over the world. Life in most areas of Bali feels nothing like living in a developing country. In many people’s opinion, Bali provides the perfect balance of modernism. All the conveniences of a big city, without the hassles of a big city. Modern living, right by the beach. Few other places in Southeast Asia offer this level of completeness, while still being close to the ocean. 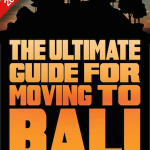 As I wrote in my book, The Ultimate Guide for Moving to Bali, the decision to make the move can be difficult but actually making the move is very rewarding. Before making the move or even deciding to make the move, there are several things you’ll want to consider. Some are positives, some are negatives and some are simply about what will work best for you. Ubud? South Bali? North Bali? Where to live? For a small island, Bali sure has a ton of variety to offer the aspiring expat. The decision of where to live is probably one of the most important decisions you’ll make, and something you’ll want to consider carefully. Be careful to take anyone else’s recommendations too seriously - many Bali expats are very passionate about the area they’ve chosen, and for their own personal reasons. For example, Ubud can be a great place to live and many Ubud residents say they would never live down south. They love the positive energy of Ubud, the artistic vibe and the proximity to rice fields and nature. Things in Ubud are much more laid back with great cafes and yoga studios on every corner. If the slower paced, artistic style sounds right up your alley, then Ubud would make a great choice for you. South Bali on the other hand, is a much larger area and includes Kuta, Seminyak, Canggu, Denpasar, Sanur, Jimbaran and Uluwatu. Traffic is much heavier, things are more heavily populated and life is much more fast paced. For the people who love Ubud, this is not a welcome difference, but there are just as many (if not more) people who love the raw energy and fast pace of life in the south. The beach is never far away like it is in Ubud and there’s always a party around, if you’re looking for one. If partying isn’t your thing, cafes, restaurants, yoga studios and gyms are also available all over the south to keep you entertained. If neither of those scenarios sound right for you, then North Bali or even East Bali might be a better fit. 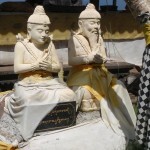 There are far fewer expats in those areas, and things are much more traditional Balinese. Many retirees find these areas to be a great place to live and wouldn’t consider life in either Ubud or the South. Still confused about where to live? I’ve written in much more detail about all the different cities in Bali, and the pros and cons of each one in my book, which you can get here. Bali has a pretty bad reputation around Southeast Asia in terms of internet speeds, and even as short as a couple years back, I would have agreed. These days though, it’s completely different and Bali is more than capable of handling your needs for internet. Many online entrepreneurs who make their living online and depend on good internet are now living full time in Bali. Some foreign start-ups have even moved their whole operation to Bali and find the internet situation to be more than suitable. Your best bet for internet, would be to find a place to live for more than just a few months, and install a stable solution. Most house and apartment owners will have no problem with you installing your own internet connection, and many will be glad to have it there for after you leave. They may even chip in for the installation price in some cases. If you plan on moving around a lot, or will be in Bali for just a short time to test out the waters, you’ll still be alright. Many cafes and restaurants now fully understand the need for good internet, and have installed good connections at their establishments. There are a few companies in Bali now offering fiber optic connections, which can rival the speeds in your home country. The rule of thumb is that cafes on the main road will have the best connections. Try out a few and before long you’ll have a collection of a few great spots to get online with ease. No matter how badly you may want to live abroad, if you have a family then they need to come first. Luckily, Bali is a great place for families, especially if you still have young children. The amount of facilities and things for kids to do here has risen exponentially, especially in the last 5 years. Water parks, playgrounds, international schools, daycares and more are available, making Bali a great place for families. Having a nanny or a babysitter is also a very affordable option, making it easy to get away on Friday night for a romantic dinner. International hospitals and medical facilities are also popping up left and right, meaning you don’t have to worry about your family’s health and safety while away from home. In the event of something really unexpected or serious, Singapore is a 2 hour flight away and costs less than $100. While relocating your family to Bali 10 years ago would have been very adventurous, there are some very conventional families living great lives in Bali today. No adventure required - but it’s there if you want it too. Traffic is at its highest ever in Bali, no getting around it. That’s what happens when people, both foreign and Indonesian start moving here in record numbers. Bali has made some attempts to reduce the traffic with the Dewa Ruci underpass on Sunset Road and the stunning toll road that lets you drive over the ocean. Still, they only help to ease up the traffic in a few areas, and much of Bali’s roads still get congested. Riding a motorbike can be a harrowing experience at first, but most people quickly get the hang of it, and it’s by far the best way to experience Bali. The automatic motorbikes couldn't be easier to ride and are quick and nimble. A motorbike costs only $50 a month, or you could buy your own for $1,500 and sell it for close to that later on. If you aren’t ready to brave the roads on your own, there are Blue Bird taxis all over the island and you can call and have one at your door in 5-10 minutes. Or you could rent a car and driver for as little as $500 a month, who can take you wherever you need to go, whenever you need to go there. While not everyone will feel comfortable driving themselves, getting around in Bali certainly doesn’t need to be an issue. The one thing that has been most apparent to me since coming back, is just how many options you have in terms of lifestyle in Bali. You can live any type of lifestyle you want to live in Bali. There’s surfing, yoga, fitness and all types of organized sports. You can spend a few months in Bali working on your book if you’re a writer or album if you’re a musician. You could drop off the map for a few weeks and go on a meditation retreat. You could get into the great party scene in Bali and have a wild night every night of the week. Most people will choose to do some sort of combination of many of the examples above. There’s also so many people in Bali doing cool and interesting things, you’ll never have the same conversation twice. There’s artists, business owners, retirees, English teachers and managers of 5 star hotels hanging out in Bali - often all at the same place. There’s an astounding level of variety of things to do and people to meet in Bali. It’s incredibly hard to get bored here. Should I pack it up and move to Bali? Expat life in Bali (or expat life in general) isn’t for everybody, but Bali is a great place to give it a shot. These days it’s an amazingly well-rounded place that offers you all you need to feel comfortable, while being different enough to remind you that you’re away from home. While some longer term expats will continue to complain about how much Bali has changed, these changes have all contributed to making Bali a better place for long term living. If you’re at all considering making the move to Bali, I recommend picking up a copy of my book, The Ultimate Guide for Moving to Bali. In the book, I go into much more detail about how to make the move easily, efficiently and cheaply, and how to avoid the major pitfalls many people encounter when moving here. Hope to see you here sometime soon! Good to see you are back writing. Bali has definitely been changing fast over the last couple of years. 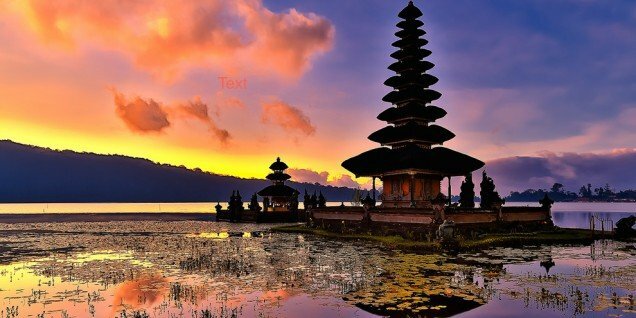 I arrived in Bali for the first time very in early in 2012 and in that short period a lot has changed, in my mind mostly to the better, but I can imagine that people living in Bali all there life or came to the island a decade ago have a hard time recognizing the Bali they used to know. As you write that is primarily around the large tourist hubs, you don't have to drive your scooter far to find places where nothing or very little has changed. I guess it is a classic case of “everybody wants progress, nobody likes change".